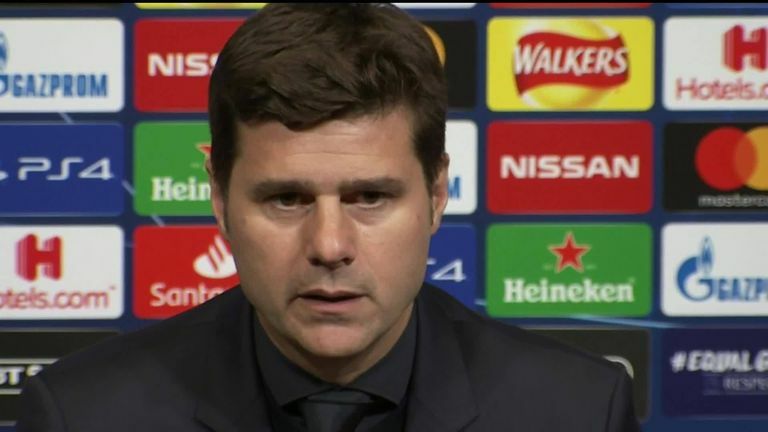 Mauricio Pochettino is "optimistic" about Tottenham's next two Champions League games after they beat PSV 2-1 on Tuesday. Two late goals saw Spurs pick up a vital three points in Group B, putting them three points behind Inter in second after they drew 1-1 with Barcelona. Tottenham host Inter on November 28 in what could be a make-or-break clash, but Pochettino is feeling positive ahead of the meeting. "There are two games to play. If we can beat Inter in Milan, we'll be equal on seven points with a game to play. Everything can happen in one game," he said. "We'll see if Barcelona have qualified for the next stage and we are going to go there to try to win the game. I think the belief is still there and you know me, I'm so optimistic. "Now, it's to be focused on Saturday but in the Champions League, it's focusing on Inter. We were so close to winning the game and deserved more in Milan. We played better than them and we were unlucky in the situation we conceded in but I think we can beat them. "I'm so optimistic. We are capable of beating them and I am sure the percentage to be in the next stage will be higher." 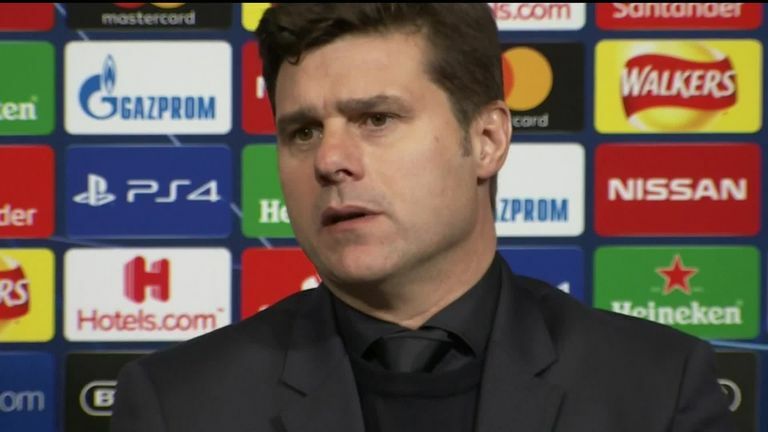 Despite conceding 61 seconds into the game, Tottenham dominated the remainder of the game and Pochettino was happy with how his side fought back to win - however late it came. "I am so pleased. I think that was our fourth game in nine days and I am so pleased because to concede an early goal again, and how the opponent increased their belief, we then created a lot of chances," he added. "We played well, we dominated the game but we couldn't score - their goalkeeper was fantastic. The team was fighting and made a big effort but we found a reward. The team never gave up and showed big character. "I am so pleased with everything, not only the effort of the performance, but how we played in the opposite half, trying to patient and not to take rash decisions. The team played well so I am so pleased."